In the UK, Bloodstock Open Air Festival in Derby is the festival you have to go to if you want a weekend full of relentless heavy metal, and the 2011 line-up maintains the high quality that the festival has always been known to uphold. Halfway into the festival, bands such as Immortal and Finntroll had their turn to grace us with their presence, and it was good. Featuring: Skeleton Witch, Grave Digger, Dripback, Finntroll, Def Con One, Wintersun, Therion, Rhapsody Of Fire and Immortal. 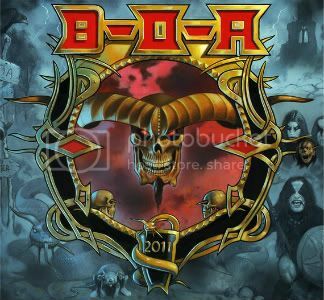 NEWS: Bloodstock 2011 reveal final headline acts! NEWS: Misery Loves Co., Diamond Head and more join the bill for Bloodstock 2016! NEWS: DevilDriver and Municipal Waste join Bloodstock Open Air 2013 line-up!